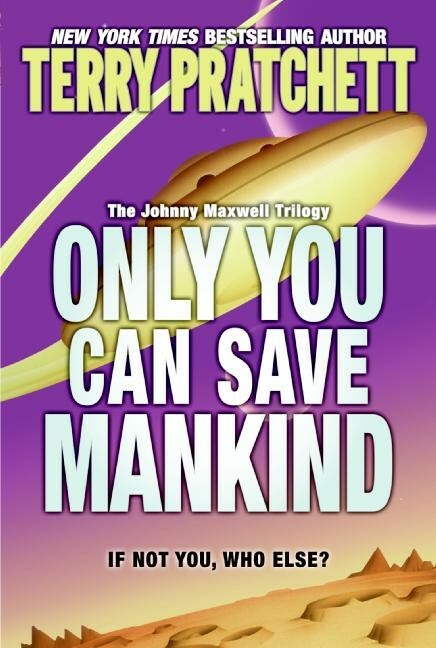 Johnny Maxwell Trilogy. Imagine sitting down at the computer to play a video game and suddenly the aliens in the game are surrendering to you. Is this some sort of trick played on you by your friend? Turns out no, the aliens really are surrendering to you. What would YOU do? This is a great book to hand to those kids who would rather be playing video games than reading. It's a nice bridge between the two and maybe if they like this one, you can hand them some more science fiction! 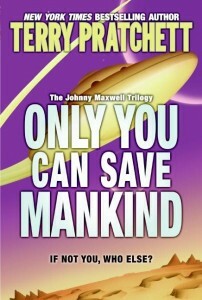 Only You Can Save Mankind by Terry Pratchettt (The Johnny Maxwell Trilogy): So, this time, Johnny is sitting at the computer playing a video game that his friend had given him. Get those aliens before they get you. Suddenly the aliens in the game surrender to him. I mean they start to talk to him. He figures it's some quirk his friend programmed into the game, but when the two boys talk, Johnny learns the aliens really are trying to communicate with him. Can he save mankind?